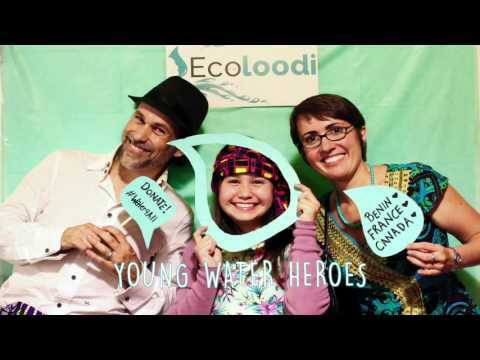 For the last two years, Ecoloodi has been working very hard to entertain, engage and educate children in Canada, France and Benin about water and its responsible use. If you are a person who believes that children can change the world for the better, this campaign is offering you a chance to empower children with knowledge to bring change in the way we spend water. Ecoloodi’s tools and services are designed to engage children aged 3-12 years through play-based learning. Combining science, education and art, Ecoloodi has developed different games, videos, workshops and interactive shows. The money you donate will be used for creating more tools such as games, books, interactive shows and class workshops, as well as hosting events similar to the Walk4Water. If you think that water is a finite resource and it’s irresponsible use will lead the world to a major global water crisis, supporting Ecoloodi will give you an opportunity to do something about this cause. According to a report, 783 million people do not have access to clean water and almost 2.5 billion do not have access to adequate sanitation. Your contribution to this campaign will make you part of a group that is working hard to create awareness about water issues and are enabling behavior change for conserving this resource. If you love children, you would be contributing to their well being by supporting Ecoloodi’s educational programs. In the last two years, Ecoloodi has reached over 12,000 children in Canada, 6,000 in Benin (French-speaking country in West Africa) and 500 in France. With your support, many more children can be reached in the next two years. If you think about humanity and the environment and wish to play a role in making a difference in the world, this campaign is giving you a chance to do just that. Through your contributions, we would be able to reach more children with our activities in Canada, France and Benin in Africa. We would be able to engage many more families and empower them to use water responsibly. If you admire people who dedicate their lives to a meaningful life without thinking of personal gains, Ecoloodi is an organization founded and led by such a person, Ludiwine Clouzot – who left her budding career to build this organization. What started as a one-woman journey of self-discovery is now a focused expedition by a large group of passionate people who want to make a difference in this world by empowering children. By contributing to this campaign, you would support Ecoloodi’s passion to help the world be a better place for our children. If you believe in giving for the good of the environment and wish to be a positive role model for children, your support for Ecoloodi would take you one step closer to that goal. If you want to educate your own children about water and its use in a fun and engaging way, you can get amazing perks by contributing to this campaign. The perks include our new illustrated and interactive book about the water cycle, our three famous MEMO-LOODI games that teach kids about water in Canada, France and Benin, and in-person presentation and activities by Ecoloodi’s founder and the water woman, Ludiwine Clouzot. All it takes is one click of a button and a giving spirit. Here is the link to our campaign. Thank you our Water Heroes!